The Oceanic Niño Index (ONI) shows warm (red) and cold (blue) phases of abnormal sea surface temperatures in the tropical Pacific Ocean. 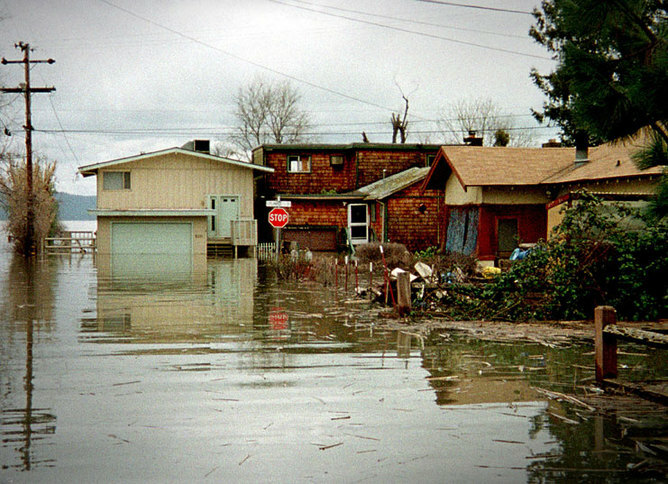 Flooding in Clear Lake, California, March 1 1998, during the 1997-1998 ‘super’ El Niño event. Sea surface temperature anomalies through early December during the ‘super’ El Niño in 1997 and the current El Niño. By better understanding El Niño, predictions and alerts can allow us to be prepared for possible unusual effects, but we can and should act to slow down climate change.